A total of 126 youngsters aged five to 12 enjoyed an incredible time at Motherwell FC’s fortnight-long Easter Camp. 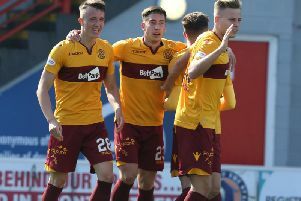 In addition to receiving expert coaching and playing games, the kids received free family tickets to see Motherwell’s first team take on Inverness Caley, met ’Well stars Keith Lasley and Craig Clay and got Match Attax stickers of Scottish Premiership stars. The Trust is running a fun sports day of skills challenges, races and games at Fir Park Astro for kids aged five to 12 this Thursday, May 4, cost £10 for the day or £5 for the half day.